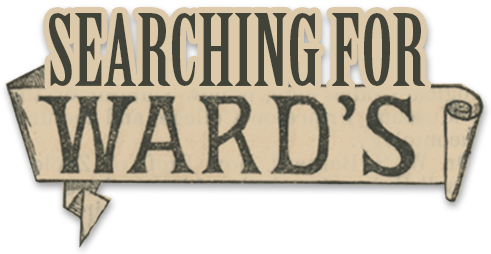 Help us rebuild Ward's inventory and share information about the state of conservation and natural science education of the 19th century. Do you or your institution have items sold by Wards before 1910? Do you have documents relating to those materials? Ask us for a guest user account, and then you'll be able to contribute them using this form, or contact us to make other arrangements--this is a "virtual" contribution only--we are not asking you to part with your physical specimens. Interested in helping us transcribe the letters and other documents on the website? Here is is a list of the letters that are ready for transcription or correction.